• Kathy O. Brozek explains how Iroquois Valley Farms is investing to support local farmers and discusses why the business model is viable. • Are you in a position to invest in rural farmers? What partners could you engage with to increase your impact? • Learn about working with rural communities. The disruption of the status quo by new technology has transformed how individuals perform mundane tasks and how businesses operate, producing both limitless opportunities and unforeseen consequences. US agriculture, particularly the richest, most fertile farmland of the US Midwest, has experienced disruption with devastating efficiency. Beginning in the mid-1990s, the share of US cropland acres planted with genetically modified crops (GMOs), primarily corn and soybeans, skyrocketed to more than 50 percent, now totaling 166 million acres. Biotechnology has indelibly altered the food and livestock-feed chain. But US agriculture appears primed for another transformation—one of restoration. The declining efficacy and rising costs of GMOs have prompted some commodity farmers to change direction. Consumption of organic and sustainably grown crops and meat is at an all-time high, and processed food products are increasingly adopting non-GMO labels. Business, too, is steadily reshaping the sector. Iroquois Valley Farms, a finance company based in Evanston, Illinois, offers equity investments through its real estate investment trust (REIT) and promissory notes issued by its LLC entity to institutional and accredited investors. Iroquois is unique because its proceeds are used solely to assist farmers in acquiring, or leasing for extended periods, organic and transitional-to-organic farmland located primarily in the US Midwest and Northeast. Approximately 70 percent of the farmers who receive the financing are part of the millennial generation, and Iroquois is now in a position to scale its model further. Today, Iroquois holds approximately $50 million in farmland investments. It has either purchased farms that it has leased to tenants, or provided mortgage financing for 56 farms located across 14 states. There are increasingly more transactions with existing tenants who wish to expand, an indication that the business model is viable. 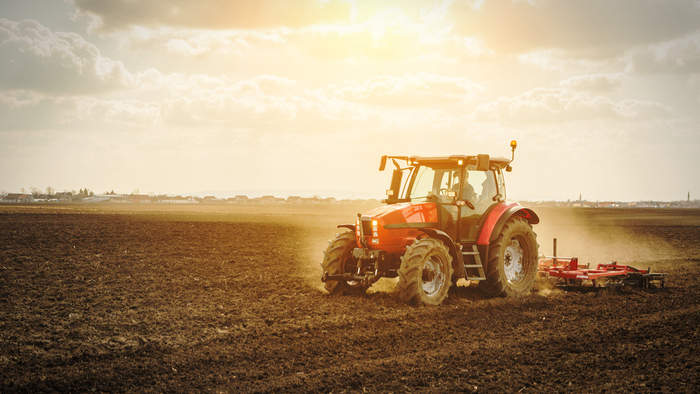 In some states, such as Wisconsin and Iowa, however, restrictions on the types of entities able to buy farmland limit Iroquois to providing only mortgage financing. Read the full article about investing in the heartland by Kathy O. Brozek at Stanford Social Innovation Review. Giving Compass' Take: · In order to achieve the global goals, Diana Duong at Global Citizen explains that the first step should be investing in where life starts: moms and maternal health. · How can donors invest in maternal health? How does maternal health contribute to efforts advancing the UN's Global Goals? · Read about creating sustainable improvements for maternal healthcare in developing counties. In order to improve any kind of fragile system within a country, its root issues must first be addressed. And in most scenarios that involve a country’s well-being, the health of its people almost always lies at the root of great change. Whether it’s ending the cycle of poverty or upgrading a country’s agricultural industry, making improvements requires healthy people — all of whom require a healthy start to life — which means that ensuring mothers have access to maternal health care and a safe place to give birth becomes issue No. 1. In 2015, the United Nations created 17 goals that aim to end poverty and achieve equality around the world by 2030. Known as the Sustainable Development Goals (SDGs), the goals range from eliminating hunger to reducing inequality to ensuring global health and more. Read the full article about investing in maternal health by Diana Duong at Global Citizen. In addition to learning and connecting with others, taking action is a key step towards becoming an impact giver. If you are interested in giving with impact for Impact Investing take a look at these Giving Funds, Charitable Organizations or Projects. Is the Shift From Philanthropy to Investments Healthy?